This is a quick individual research assignment. 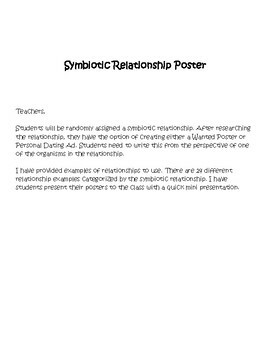 There are 24 different symbiotic relationship examples provided. You can randomly assign the relationships or students can choose. 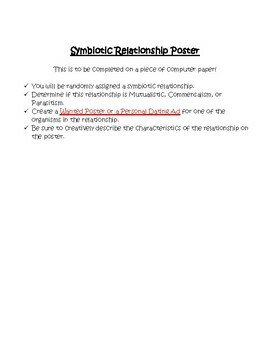 They will research the relationship then create either a Wanted Poster or a Personal Dating Ad from the perspective of one of the organisms. You can have students do a quick mini presentation of their posters or do a gallery walk on them.